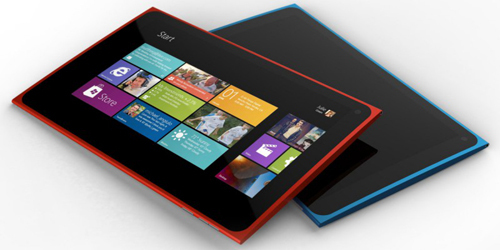 Nokia has entered into the tablet market finally with Lumia 2520. The main focus is on the mobility. According to Stephen Elop, they specifically made sure that this 10.1 inch HD display tablet from Nokia works well in outdoors, in burning sun particularly. Lumia 2520 boosts ZEISS optics, to take beautiful pictures even in low light, a 6.7MP camera and connectivity from both 4G LTE and Wi-Fi. On Windows RT 8.1 Lumia 2520 runs. It also features fast charging capability (80% charge in one hour) and multiple color choices. Including the exclusive “Dragons Adventure” interactive game developed in partnership with Dream Works Animation, Lumia 2520 also comes with a number of unique software experiences. Additionally, Lumia 2520 includes Nokia Video Director, which offers to get more creative with videos shot on Lumia 2520, and ability to edit, as well as Nokia Storyteller, an application that relieves and curate videos and images as a story on a map. With Mix Radio pre-installed, the tablet also includes an exclusive version of Nokia Music. Five extra hours of battery life and two built-in USB ports are offered by Lumia 2520 with the pair of Nokia Power Keyboard. It makes the worries about battery life a thing of past. Typing feels as natural as on a laptop; with a protective, wraparound cover alongside functional keypad, with gesture trackpad, on the Nokia Power Keyboard. MS Outlook and Office are pre-installed. 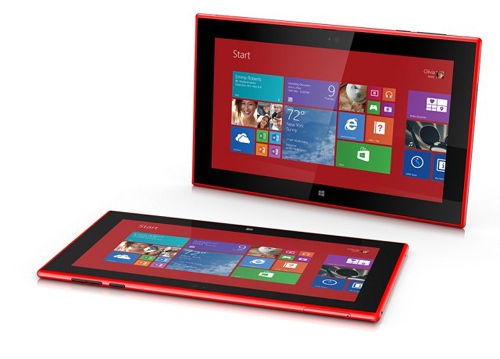 Nokia Lumia 2520 will be available in cyan and red in a matte finish as well as in red and white in glossy finish. With an estimated price of USD 499, it is expected to start shipping in Q4 2013.